Gamers of All Ages Can Play in Style with the New Nintendo 2DS XL System! 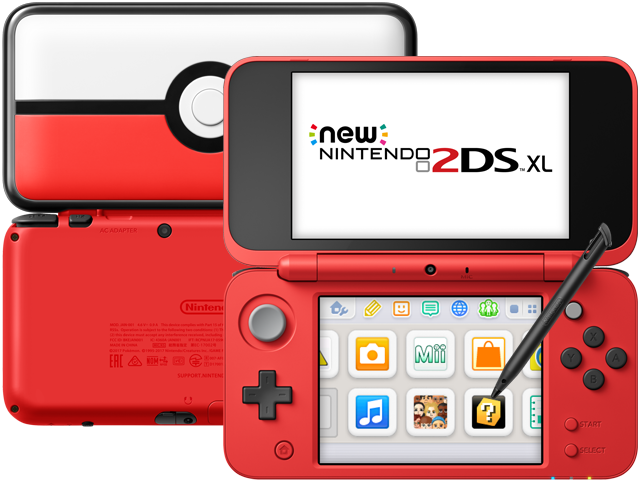 The New Nintendo 2DS XL system gives you the power of the New Nintendo 3DS XL system in a streamlined, affordable package—and plays a huge library of games in 2D. The New Nintendo 2DS™ XL is available as an Authentic Nintendo Refurbished Product only from Nintendo, and it comes with our standard one year warranty. Although it may have minor cosmetic blemishes, it is guaranteed to be fully functional. We think you will find the standards for Authentic Nintendo Refurbished Products are VERY high. A new look and ergonomic design: Colorful accents add style, while the sleek clamshell design makes it comfortable to hold. 82 percent larger XL screens compared to the Nintendo 2DS system. Lightweight, yet powerful: A fast processor offers short loading times, so you can start playing in a snap. and it's all in a lightweight, play-anywhere package. Built-in amiibo Support: Tap an amiibo™ figure to the near-field communication (NFC) reader on the lower screen to enjoy amiibo features in compatible games. So many games to play: You can play all Nintendo 3DS, New Nintendo 3DS, and most Nintendo DS games in 2D on this system. More controls: The C Stick brings enhanced controls (like intuitive camera control) to compatible games, while ZL and ZR buttons give you plenty of options. Includes Refurbished Poké Ball Edition New Nintendo 2DS XL System, AC Adapter, stylus (color may vary), 4GB micro SD Memory Card, and 6 AR Cards.